Despite the huge Greek diaspora in Australia, little of their beer (aside from the big players Fix, Mythos etc.) makes it out this way. 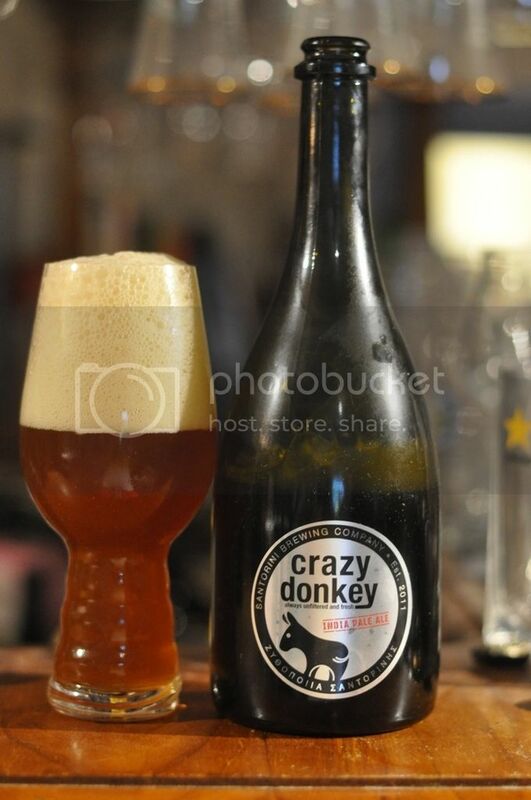 Crazy Donkey IPA from Santorini Brewing Company claims to be the first Greek-made IPA. I'm definitely looking forward to trying it! Santorini Brewing Company is based in Mesa Gonia, most famous for the Church of Panagia Episkopi, on the Greek Island of Santorini. They are a pretty small operation so it's nice to see their beers reach our shores. I remember a friend raving about their Yellow Donkey after visiting Greece, and so I was pretty excited to get my hands on this offering from them. The beer poured a deep orange colour with a very large cream coloured head. It's quite an opaque beer, with a couple of floaties throughout the beer. The head has large bubbles in it right from the off, but does have reasonable retention. It laces the glass really nicely, which is a wonderful aesthetic. This is the colour of IPA's that I tend to least like, but it does come down to how it tastes in the end. Crazy Donkey IPA from Santorini Brewing Company smelt wonderful! There was some nice floral characteristics as well as some citrus and tropical fruit notes. It smells reasonably bitter, but not blow your face away bitter. The malts are not particularly forward, which I found odd considering the beers colour, those that were obvious were quite earthy and grainy. The hop forward nature of the beer really stood out. I didn't need to do any research to know that this beer is packed with Nelson Sauvin hops! It was dominated by that distinctive that true beer lovers will know. There was some malt in the background as well as some citrus and tropical fruit flavours. Melon was probably the most dominant of these, but the floral Nelson Sauvin was the dominant player. Crazy Donkey IPA finished beautifully dry. It's not a world beater, but Crazy Donkey certainly is a nice beer. I don't regularly get to try IPA's from the newer parts of the craft beer world, so this was a wonderful experience to try. 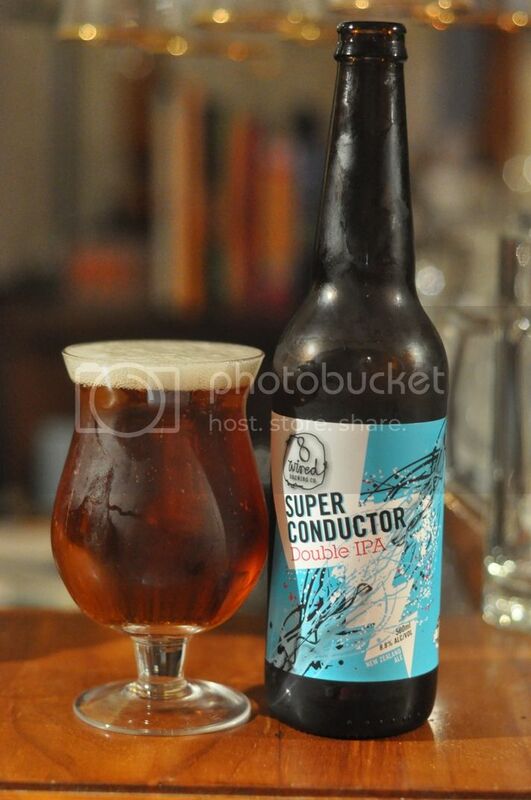 For those who love Nelson Sauvin hops this would be one to try, it's packed full of them! I'd also happily drink it again and if in Greece would definitely actively seek it out.